Add a sleek and stylish finish to your every look with this cool cuff from Ania Haie. 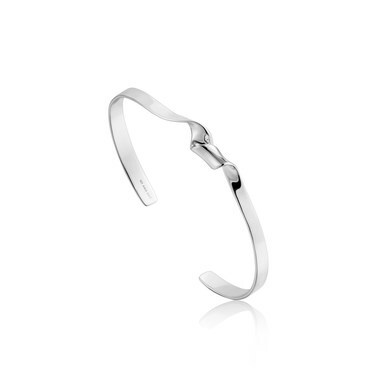 Crafted with sterling silver, this open work bangle features a minimal twist centrepiece. Ideal for stacking with other bangles.